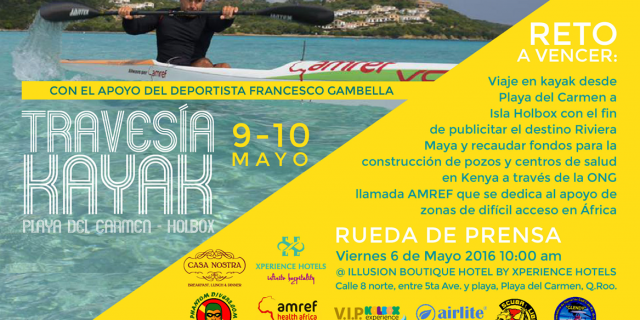 VIP Holbox is proud to sponsor and provide logistical support with our boats to this kayak adventure in the Caribbean Sea, from Playa del Carmen to Holbox. 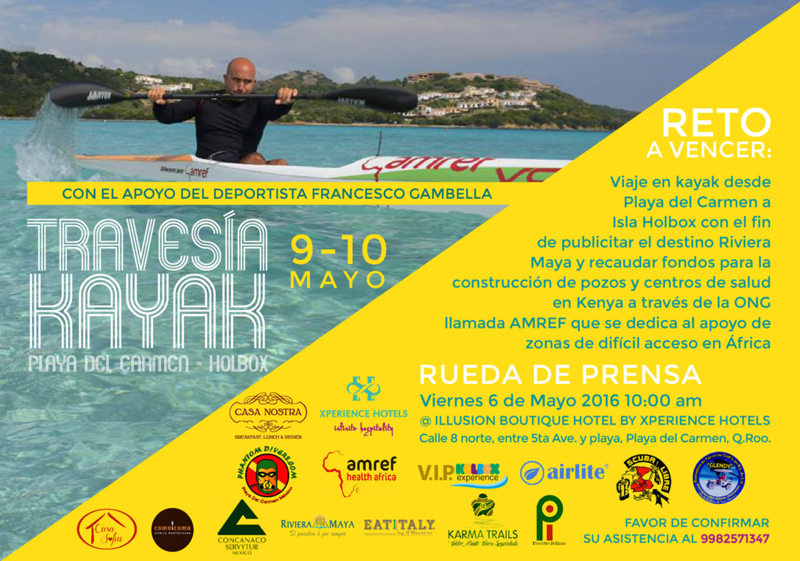 In May 9 and 10, 2016, the NGO AMREF, together with the extraordinary athlete Francesco Gambella, is holding this humanitarian event to raise funds for the construction of wells and health centers in Kenya. AMREF is committed to enhancing the health of people in Africa, improving the lives of disadvantaged people and thus breaking the cycle of poor health and poverty. They believe that the power for lasting transformation lies within its communities and that the role of the NGO is equipping these communities with the knowledge, skills and means.